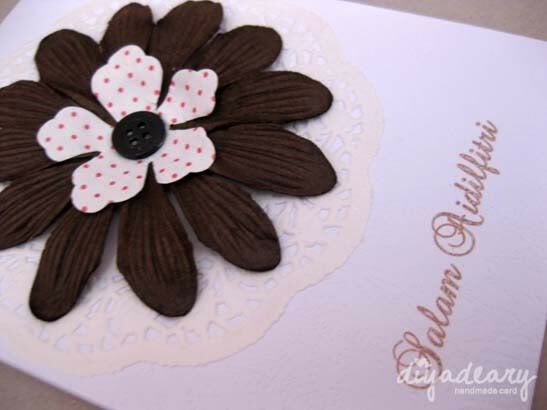 We are back to update the latest card order. We received two special request orders for raya and here is one of them. We received this special request from Alan. 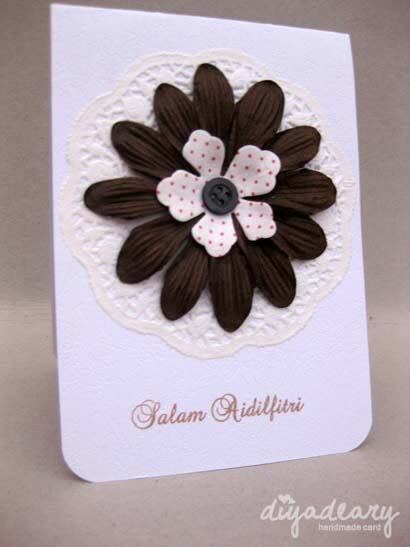 He want a card looks alike to our ready stock Aidilfitri card collections. 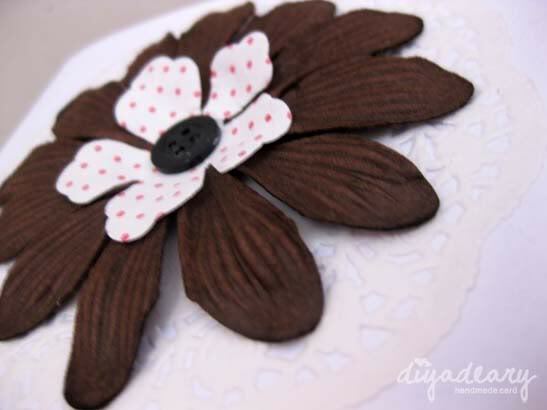 Instead using moon and star as the element, he wanted us to place it with flowers and button. Thanks Alan for the order. Anyway, we will update the next special order as soon as possible. Come back later ya!